We traveled to California in search of warm weather, an understanding of life on the left coast and a few good days on the bike. Instead we were welcomed to the land of sunshine by cold and blustery weather more appropriate for New York than San Francisco. On what was supposed to be our first day exploring Marin singletrack temperatures hovered in the 40's with an unpleasant mix of rain and gusting winds. The sixty degree weather our teammates were enjoying at Supercross Cup Day 1 felt like punishment for our mini-vacation (which would make the snow at Supercross Cup Day 2 just revenge). 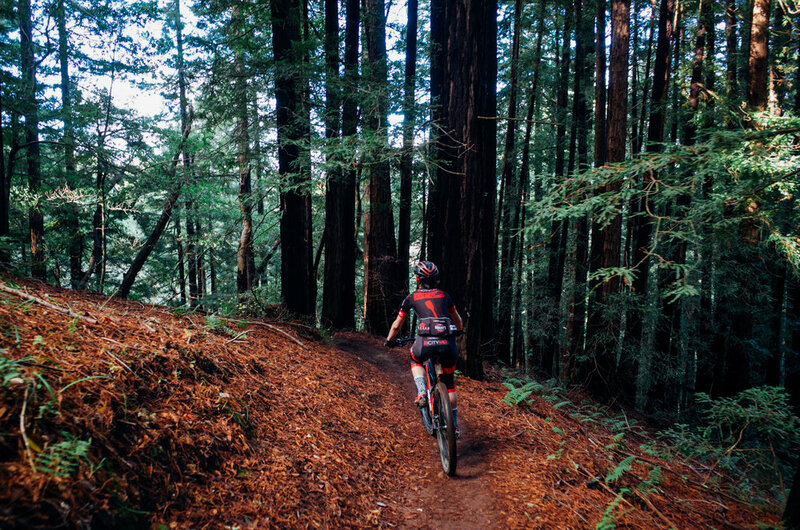 On our third day in San Francisco the weather finally turned and we headed back to Marin for some singletrack action. We picked up our seemingly brand new bikes from Mountain Bike San Francisco and embarked on the short ride to Camp Tamarancho. In a matter of minutes any trace of civilization faded into the distance as we enjoyed mile after mile of switchbacks and blue skies. The preceding weekend of subpar weather meant this would be our only day on the bike in San Francisco. But with trails like these -- redwoods, wide open vistas and a terrific mile long flow section -- we certainly weren't complaining. While the Tamarancho loop is not particularly long, it was eye opening in terms of the quality of mountain biking available so close to San Francisco. Our remaining time in San Francisco was occupied with good times off the bike - visits to friends and teammates who had migrated West in recent years. We consumed more than a few glasses of wine and shared plenty of laughs in the process. From there all that was left was the long drive down the coast to Los Angeles. Our first pit stop in Los Angeles was at Topanga Creek Outpost, one of the most unique "bike" shops we have ever visited. When we arrived the owner was putting finishing touches on some of his handmade leather goods, greeting us warmly with coffee and banana bread. The customer service lined up perfectly with the eclectic product mix. In fact the only slightly unpleasant element of the entire shopping experience was trying to squeeze two mountain bike rentals into our tiny rental car. 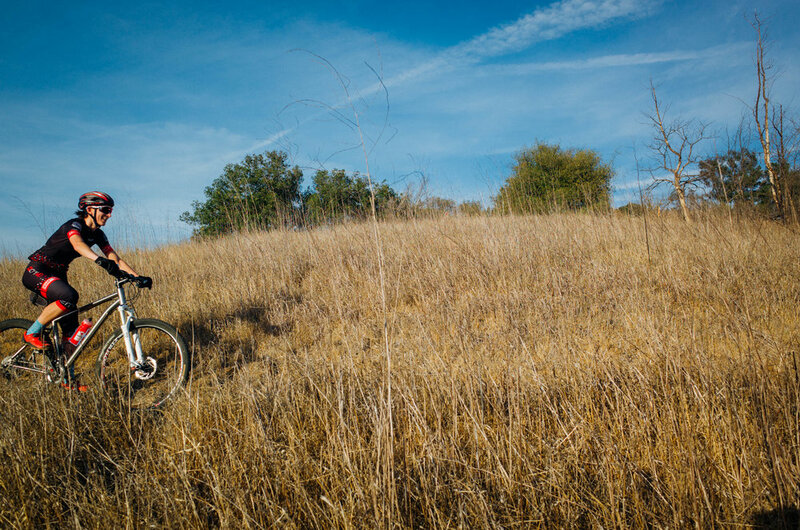 Our poor planning on bike storage aside, it's definitely worth checking out Topanga Creek Outpost the next time you're in LA. We spent the next few days exploring a variety of trails in and around Malibu Canyon, encountering some absolutely brutal elevation changes, including one section of singletrack that averaged 16% for over one mile (ouch). While the trails couldn't compare to San Francisco the skies were blue and the sun was warm making for some most excellent days on the bike. Keeping the bike-life/real-life balance in check, we made sure to include both the prerequisite Thanksgiving Day feast with friends and a quick trip to Santa Ynez wine country in the latter half of our California escapades. Perhaps fittingly it also rained for the better part of our final 48 hours in California.